This web site is dedicated to all of those people who have searched for the greatest treasure legend of them all and failed. You may know it by its many names – the Lost Adams gold canyon, Sno-Ta-Hay, the zigzag canyon, the Lost Cabin Mine, etc., etc. I am Ron Jensen and this is my story. However, I really never believed in treasure legends until now. My story begins back in 1993 when I decided to change careers and become an author, a writer of books. That decision would change my life and those around me. When I decided to write books I needed a subject to write about so I picked “debunking treasure legends.” Everyone knew that they were just stories told over an open campfire and were the imagination of those who told them. I decided to debunk my first treasure legend and so I contacted a few literary agents who loved my idea. They told me that it had never been done before and should sell a lot of books, seeing as the subject matter was what the public likes to read about. Debunking should prove to be very successful, but they needed me to write a manuscript for them to look at. So, off to the public library system I went to research and debunk my first legend. I decided to debunk the greatest treasure legend of them all - the legend that more people had searched and died looking for than any other in the history of the world. 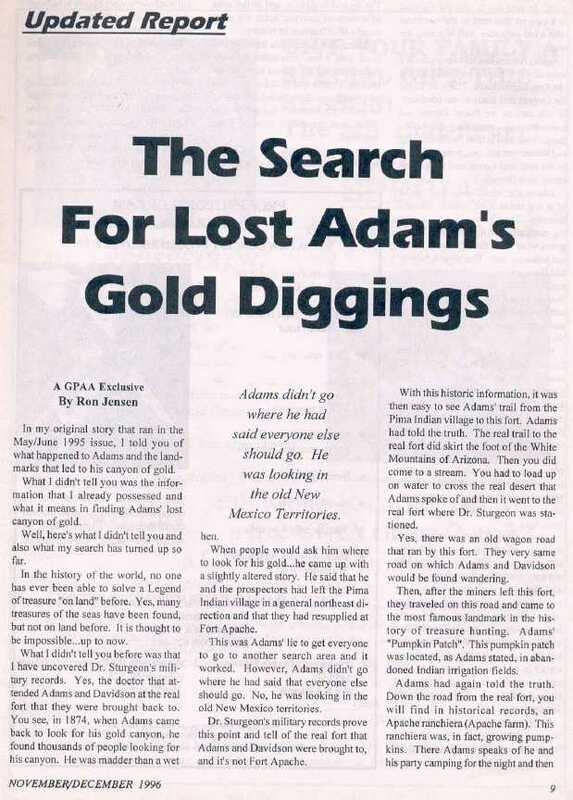 The treasure hunters called it “The Lost Adams,” as it was a man named Adams who was found wandering, by a military patrol. He was stark naked and out of his mind. So, the military took him back to their fort and the doctor there, a Dr. Sturgeon by name, nursed Adams back to health and saved his life. Adams was so grateful he told the doctor his fantastic story about a lost and hidden canyon of gold. He even drew the doctor a map of what he could remember and with that Adams would start the greatest search for a lost and hidden canyon of gold. 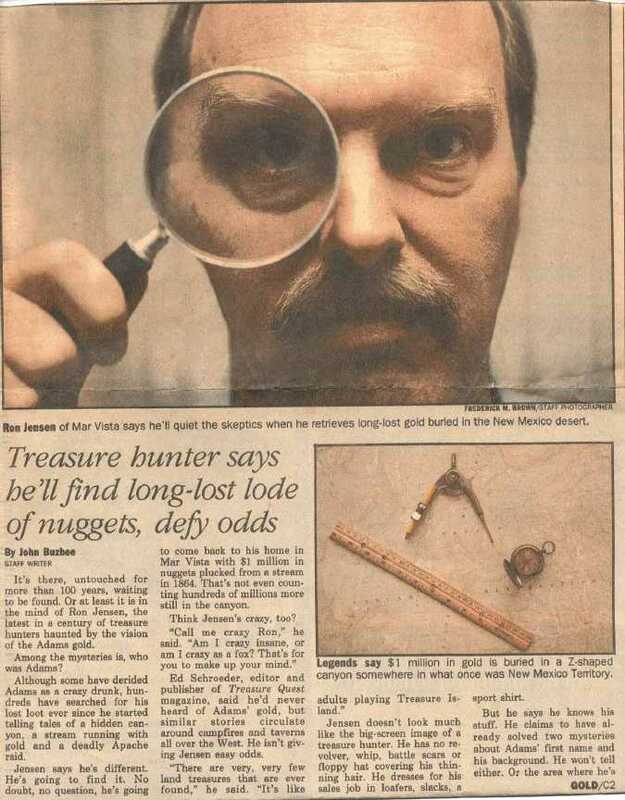 That is what most treasure hunters know and is not much to go on. So, I continued my research. I needed to prove that Adams was a liar and why. Since I was writing a book, guesses and opinions did not matter. So, I decided to go to the search area and to see it for myself. 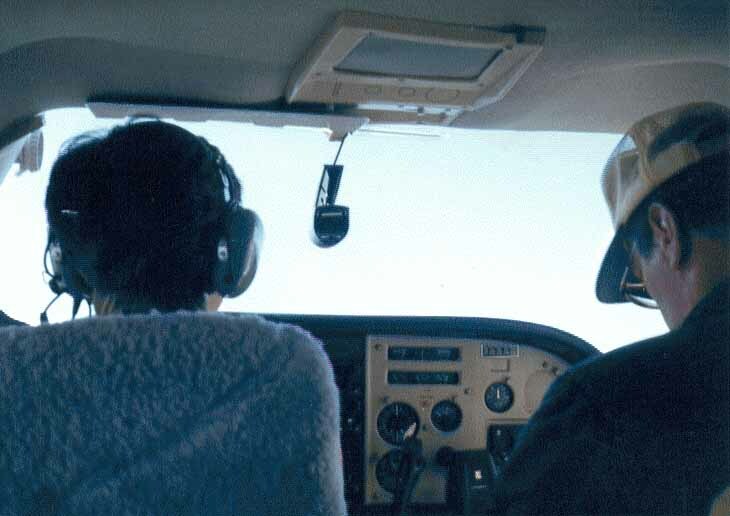 I hired an aircraft and pilot to fly me over the search area and I took lots of photos. When I got home, I realized that I had not proved anything one way or the other. I now knew that I would have to research even deeper in the legend. It was about this time that the Copley newspaper asked me for my story. They own several newspapers. I agreed and they spent over three weeks researching me, and the legend. Then on September 17, 1993, the paper ran my story throughout southern California. It is now 1994 and my research project has just run into the same brick wall that all others before ran into. Where did Adams go? Where is his legendary canyon of gold? I needed more information, but I could not think of how to approach the problem. I knew that Adams had said that a doctor by the name of Sturgeon had nursed him back to health and everyone that looked for Adams’ canyon of gold had a different opinion of which fort it was. If I could only find Dr. Sturgeons’ military records or more correctly, if I could prove that Dr. Sturgeon never existed at all, I would have my proof and my book. So I decided to try to find the military records of Dr. Sturgeon and I then found out that so had everyone else. They all had tried so many times that his records had become the most searched for in the history of the U.S.! I had to prove to my readers that I had given it the old college try and so I tried to find the doctor myself. I again ran into a brick wall – I did not even know where to start. What was Dr. Sturgeons’ command, where was he stationed? One has to provide some information to the National Archives so that they could look up his records if they ever existed. In the movie Gregory Peck finally finds an Apache map of the way to the gold canyon and he puts it to memory. That was all I needed. That was how to break this or any mystery every told. It was now all so simple and what had gone over everyone else’s head. 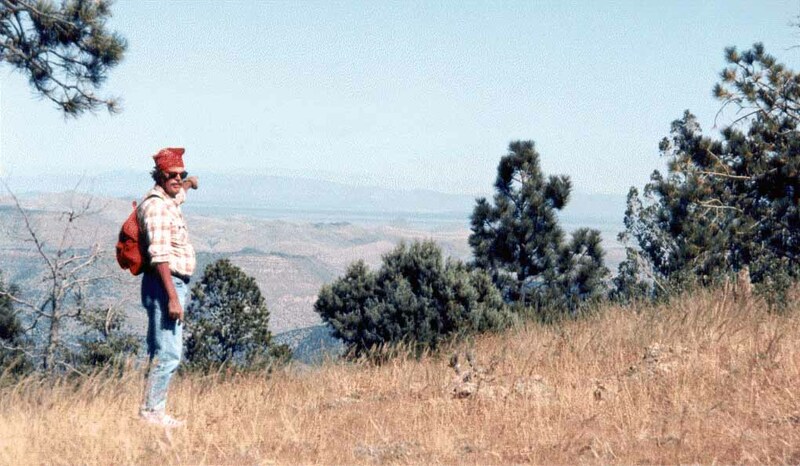 Adams had told everyone that a Mexican guide had led his party over an old Indian trail to the gold canyon. Gregory Peck’s character had memorized the route (Indian trail) and the landmarks on the Apache map. That’s how to find the Lost Adams. Find the old Apache trail and it will lead one to the legendary canyon of gold. Adams now was making me a believer. Every time I researched something from the legend, I would find out it was true. Here it was a way to the gold and a way to Dr. Sturgeons’ military records. Everyone, including myself, had researched Adams in the Civil War, as that is when it took place, but no one had ever researched Adams in the Apache Wars that took place at the same time. Two hours after discovering how to approach the mystery, I had a book in my hands about the Apache wars and on one page was one paragraph talking about a Dr. Sturgeon. Bingo, I had him and there was his command and his commanding officer. I now had enough information to request a search of the files at the National Archives. It would take three more months of red tape, but I early June 1994 I had finally obtained a copy of the real Dr. Sturgeons’ military records. There it told of his entire military career and the Fort that he was stationed at. I now had the exact place that Adams had been taken and the proof that the legend was no legend – it was in fact a true story. I then started to request his commanding officer’s orders that he had issued and by this I could trace down what had transpired during this period of time. 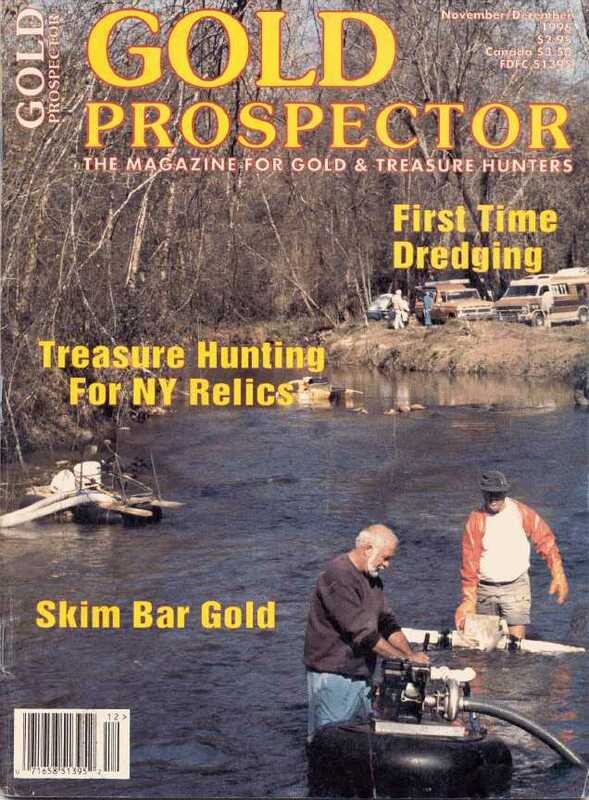 It was now that the Gold Prospectors of America, an organization of members that search for gold and treasures, asked me to tell my story in their magazine “Gold Prospector.” This magazine is very popular and is also sold at many newsstands nationwide. In their May/June issue of 1995 my article broke and it was very well received. As a result of this article, I formed a partnership now known as Search America. It went into effect on June 3, 1995 and I then launched my ground search to prove the research material. Well, things did not get much better as I found out what gold fever is. People start looking for gold and they get very edgy and they want success now and not tomorrow. So, we would come out, once in awhile, to look for the Adams, but I just could not get my partners to understand how hard the research was and that more time was needed on the ground… but we kept at it. 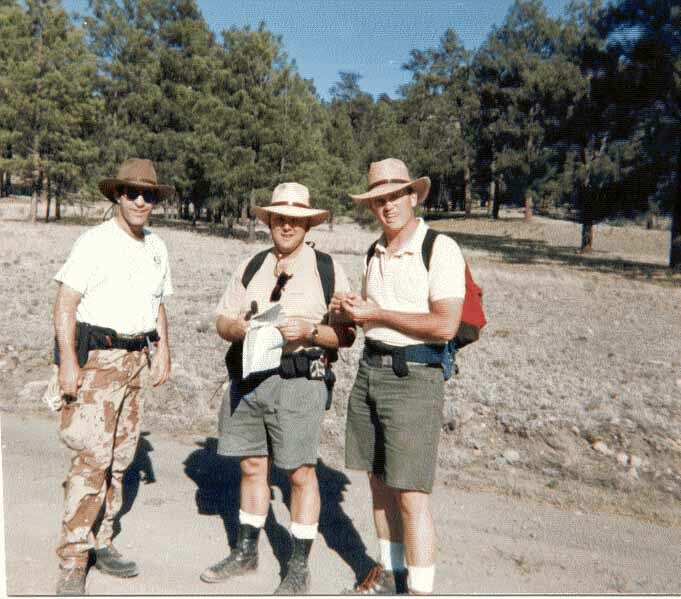 It is now early June 1995 and I have taken my new partners out to see how good my research project is. We hit the mountains in search of the greatest treasure legend in the history of the world. I did not expect what was to happen next. I had heard of but never experienced gold fever before. Gold fever caused my then partners to go from nice people to “crazed maniacs,” so to speak. 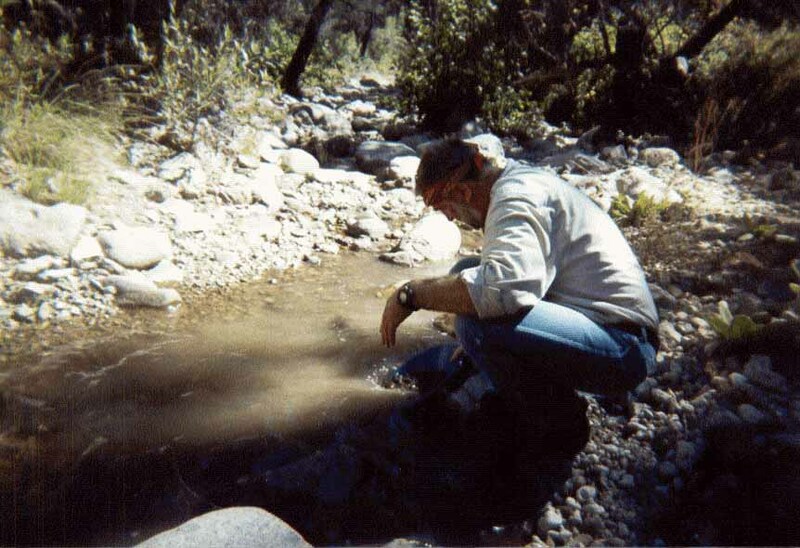 When we left L.A., everyone was in high spirits, but after arriving at the search area and not finding the canyon of gold immediately, my then partners decided that all of my research must be wrong and that they would take over and look wherever they wanted to look. This was a disaster and six days later everyone went home. I had not figured on the human element when I launched my search. I continued my research and we did make other half-hearted attempts to find the canyon of gold, but my heart just was not in it. It is now 1996 and after resting the winter and putting down the research for awhile, I got my groove back. And some new ideas on how to approach the problem. 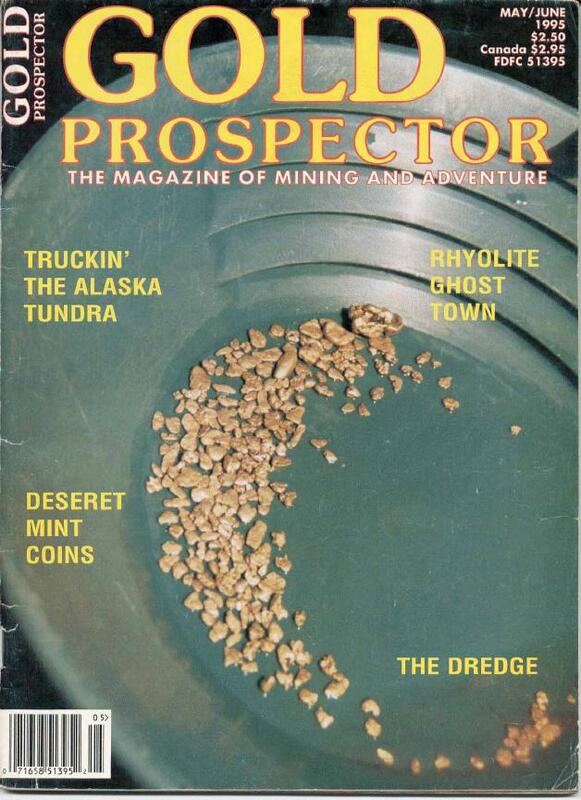 Then the Gold Prospectors of America asked me to write an update and so I did. The article appeared in their November/December 1996 issue. From this article I would add more partners and hit the mountains again. This time I would have sixteen people and it looked very promising. 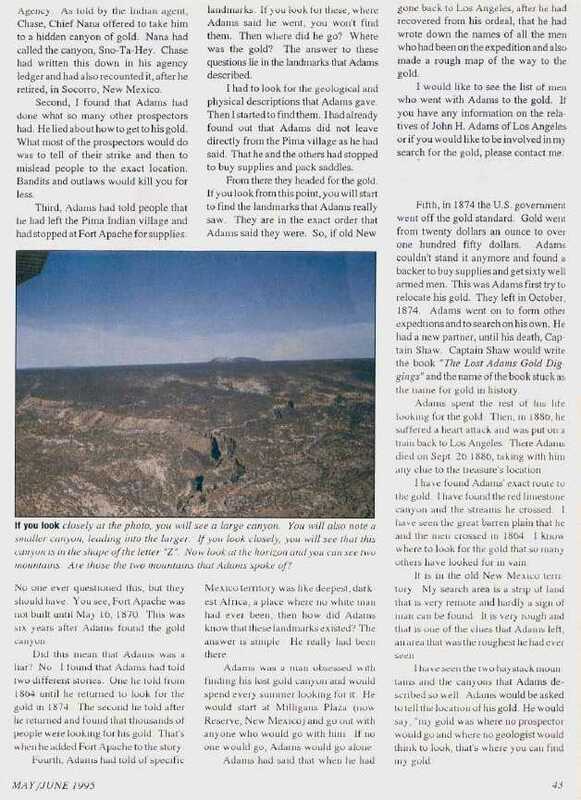 So for the rest of 1997 we tried to figure out where Adams had been and where the Lost Adams lay. My research project came to a halt. I had run into another researcher’s nightmare. I didn’t know where to go with this new science. So, I went looking anywhere and everywhere I could think of. No good though, still up against a stone wall. 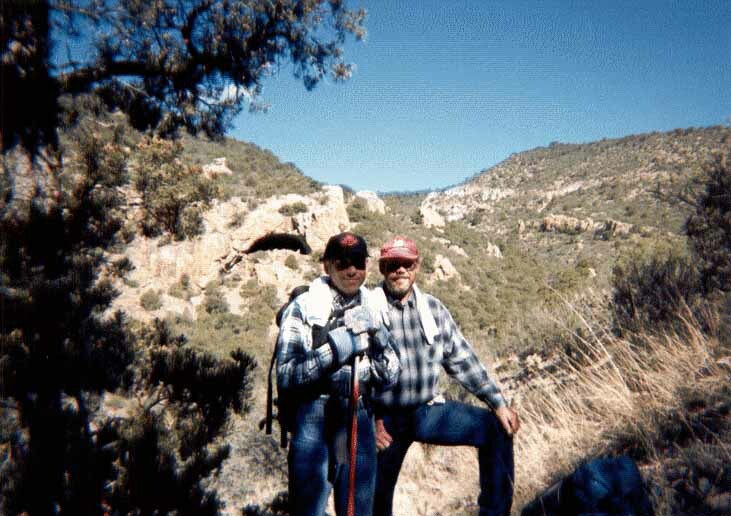 Well, it was now 1998 when Dan M and I decided to finish searching the ridge area. We were now all alone as many of my partners were nowhere to be seen. Dan and I searched for one solid month of backpacking and camping out. We now knew that the Lost Adams was not there and that moved us over to the secondary search area. We knew this by way of Dr. Sturgeon’s commanding officer’s orders. This military command was on orders to search two roads and we had searched the mountains of the second road. We now ran over to the first road and that would prove to be the breakthrough I needed. It is now 1999 and the research has taken on legs of its own. I now knew that we were getting close, very close to Adams’ lost canyon of old and then I would make the most startling find of all. Something had been turning over in my mind for a long time. I keep telling the remaining partners that the legend and research I had read rang a bell for me. I was at home working on the research when it hit me all at once. The reason that the legend seemed to ring so true to me was because I had read a military report that did not mean anything while we were in the original search area – but meant everything now. A military patrol had been sent out to scout for Apaches and to move them out of the area. The military officer had his guides go out and lead them over every Indian trail in the area. I then searched my files for these records and it took me two days to find them. When I started reading them I started to get very excited and my hands actually trembled. The military officers’ report was a perfect description of Adams trail. 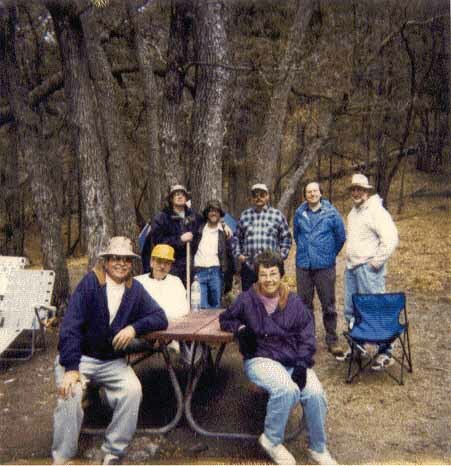 In the spring of 1999 we went out to the search area. The military’s report did not seem to add up at first and we all thought the military officer had made a mistake in his mileage and where he was when he made his report. So I launched the search to see if I could figure out what had gone wrong. Well, you guessed it, gold fever would strike again. I had one partner with us that I did not want there. I really did not trust him. He and two other partners had become good friends and they were passing the confidential research material around. I had made friends with the two other partners and so I decided to protect the real search area and I created a “bogus” search area. This was to see if I was correct and the partner that I never trusted was honest or not. Well, that was the best idea I ever had. The partner that I did not trust had decided to try to take the Adams for himself and to try to turn the other partners against me. He would return to the bogus search area with friend of his, thinking that the research would prove the Adams to be there. He was to find that he had stolen nothing and had not turned anyone against me. He had what he had tried to hand me… nothing, a big fat zero. As the Managing Partner and the majority shareholder it was my job to protect all of the partners from illegal acts, even when it turns out to be another partner. So, 1999 sank slowly into the west and I kept moving forward with my research project. 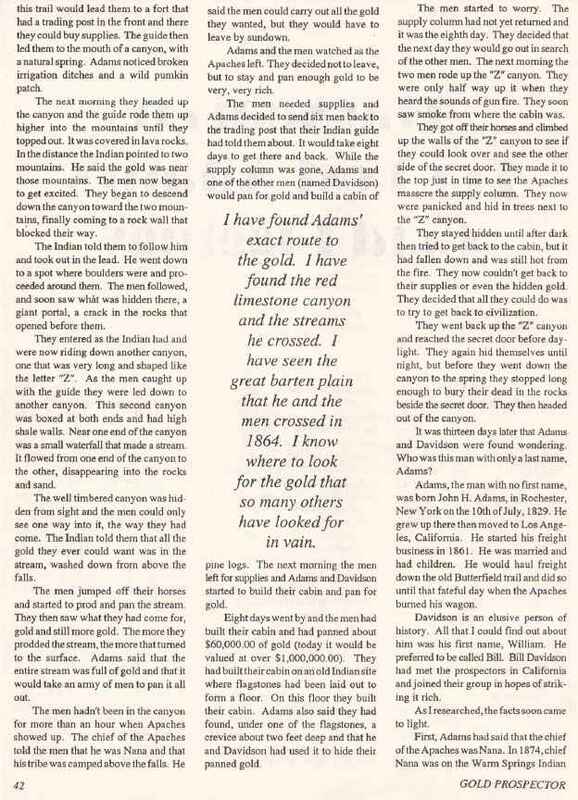 Yes, I knew the correct area that the lost canyon of gold was in, but I kept it to myself. It did not need to be known to the other partners yet and what they did not know would not hurt others or me. It is now 2000 and I am getting that old bug to go after the Lost Adams. 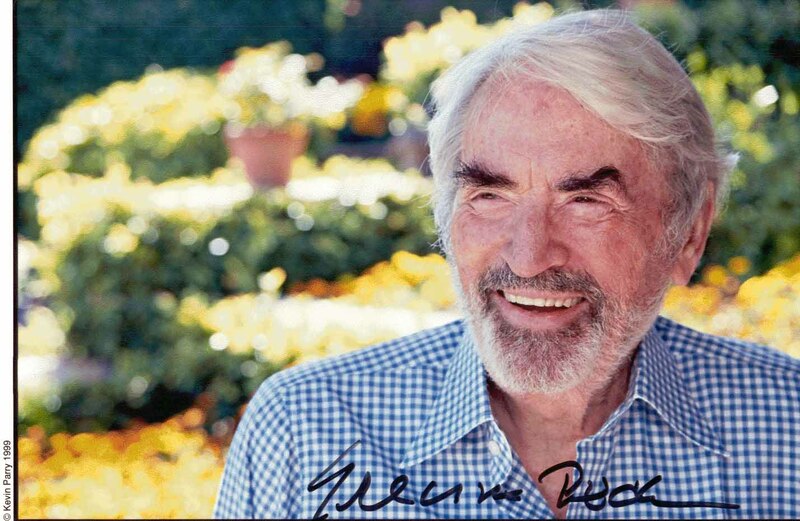 I had, by now, been corresponding with Gregory Peck, star of the motion picture Mackenna’s Gold (available on Columbia Tristar Home Video). 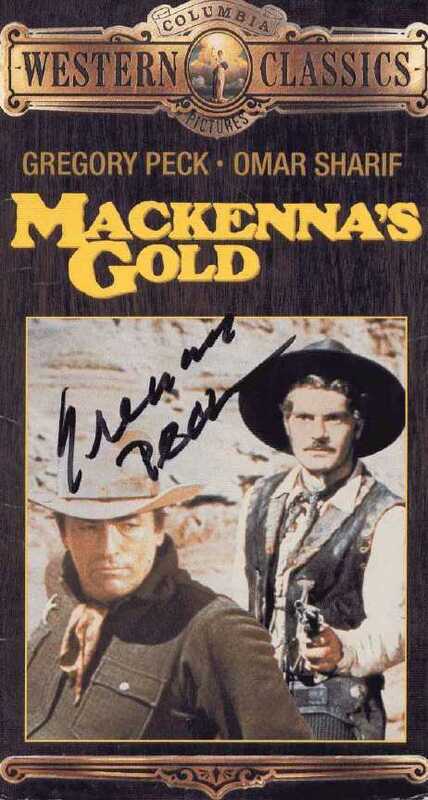 Mr. Peck was nice enough to autograph my copy of the video jacket of Mackenna’s Gold. He also sent me an autographed photo with the date of 01-06-00. Well, 2000 went along and I scratched my head so many times trying to figure out where the military officer had gone. His report and the terrain didn’t seem to match and yet he was here. It was in July, 2000 that I realized what I had been doing wrong and so I re-layed out the military officer’s report on my USGS topos. There it was – the solution to the greatest treasure legend in the history of the world. I had been looking at it all wrong. 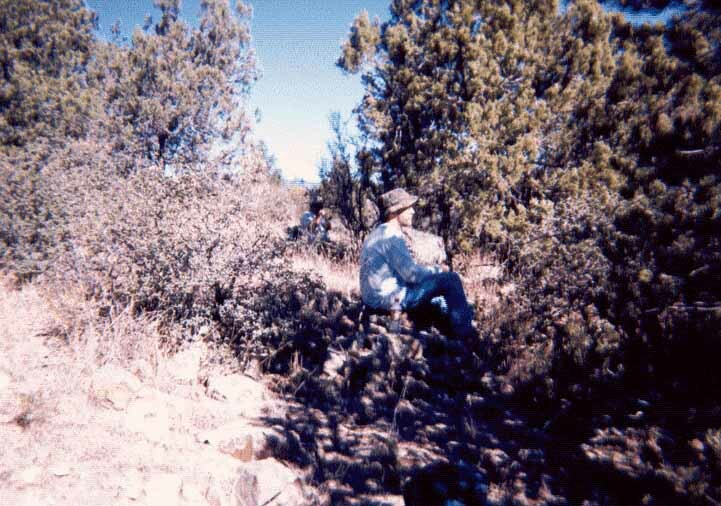 What the military officer reported was true… I had to start laying out his report on my topos from where he said he was. I did and he was there. I then followed him and he led me right to it. 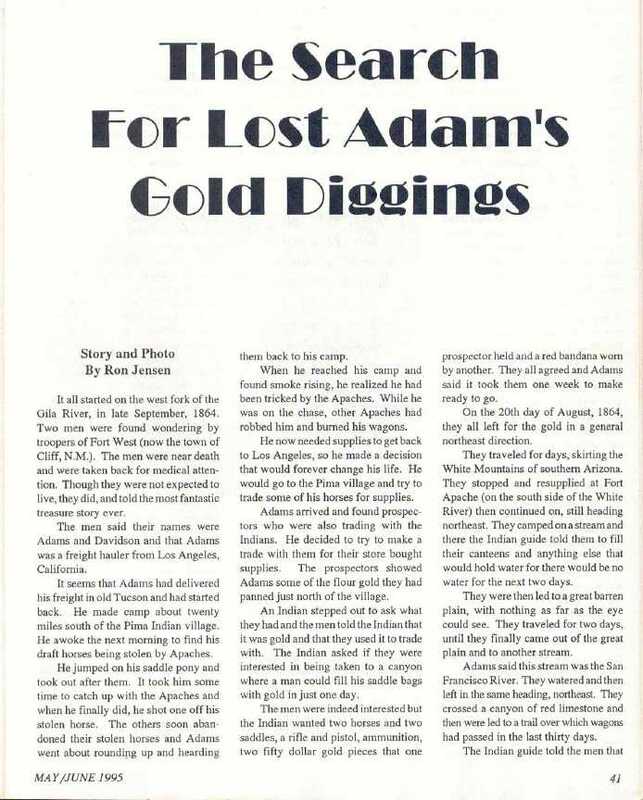 In the stories told of the canyon of gold, Adams had not only laid out the trail, but had given mileage and direction as well as all of the landmarks that he and his party passed. So did the military officer. For the first time in history I will now repeat what Adams said and what is in the lost military report. Adams said that the Mexican guide had left the main trail they were on and took a more faded one. It led north about six miles. 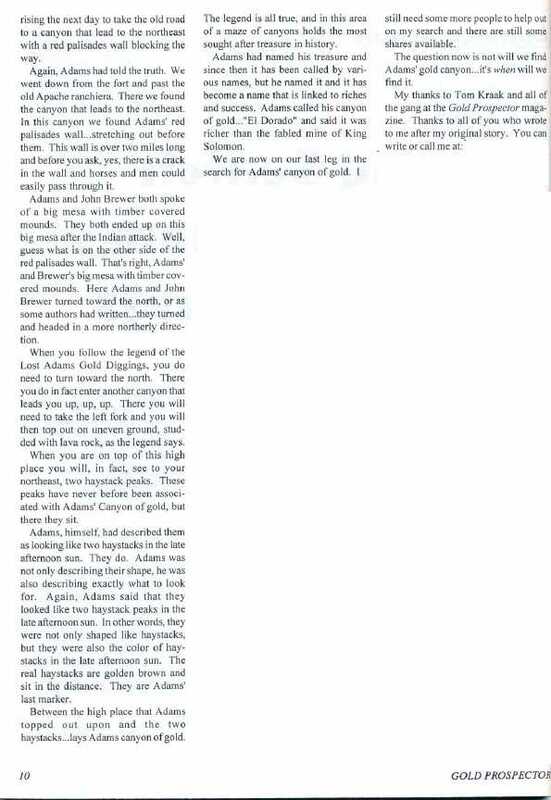 There the guide took Adams and his party to warm water springs and they camped there for the night. The next day they left and crossed a smooth ridge and then went down to their left and across the canyon to the west side. They went up this canyon until they came to a large bluff that blocked their way and they camped there for the evening. The military report and Adams agreed exactly and though not reported, just to the west of where the military headed northerly sits Adams warm water springs. Adams went on to say that there was a “little door” on the right hand side of this bluff and he and his party passed through it and went up this canyon. They had to get out of the canyon, as it was blocked, and go up about one thousand feet to get around the blockage. They then descended back into this canyon and had gone about twelve miles when the Mexican guide stopped and pointed to the two haystack looking peaks toward the northeast. He told the men that these two peaks mark the main canyon of gold well and he was leading them that way. He also said that it was too late that day to get there so they would camp on a little one acre flat with good grass for the night. When they got there, the guide told the party that they would find some gold here, but not as much as in the main canyon marked by the two peaks. Adams and the men began panning and found gold everywhere on the flat. They had dug holes down two feet and it was rich, very, very rich. The party would stay here for awhile and then turn north and go up near the two peaks via the ridge on the east side of the canyon of gold. They would find their way down into the canyon of gold and there they would build their cabin and place the hearthstone that hid their great treasure. My search was over, the military had found the one acre flat with good grass and all that gold. That marked the downstream end of the canyon. I needed to see the main canyon and all of the landmarks Adams spoke of. I especially wanted to see the three peaks. Yes, the two peaks you see from about twenty miles away are really three peaks when you stand on the ridge to the east of the canyon of gold. You will also see all of the other landmarks, namely, the long, low slung mountains with a deep saddle across its middle toward the northeast; to the east was the vast expanse of open country five miles away (this is where the re-supply party met their untimely end); to the southeast sat three peaks on a plateau that also looked like haystacks; to the south was a large timber covered mountain; and to the north was a reddish mesa that the canyon of gold ran into. Adams had memorized all of the landmarks leading to the canyon of gold, but he couldn’t find it again. He couldn’t seem to figure out which mountain chain he had been in so he searched many of them. To break this mystery it would take a very special research project, one that had never been taught or used before. This new science would lead to many discoveries including the legendary canyon of gold. The new science would be known as Forensic Archaeological Research and would prove itself out many times. It is now 2001 and my partners won’t be able to go to the canyon of gold until mid-June. If it’s not one thing it’s another. Well, finally it’s time to go and it’s now the rainy season and the temperature is 106 degrees. Boy was I a happy camper. My partners couldn’t have picked a worse time of the year to go. Rain makes canyon walls and the climb very dangerous and it’s miserable to camp and hike in. The heat was thick and sapped all of our energy, but on we went. So, you can see what’s coming next. We didn’t even get close to the canyon. The V_ brothers had brought a Jeep Wrangler and it had no guts to go uphill and no air conditioning. They were hot and tired and I had thought that they were crazy for bringing that Jeep instead of the Ford pickup truck. Dan had left part of his equipment back at his girlfriend’s house. They were about as ready to go into the canyon of gold as the man in the moon. Now, you have to understand that they had been doing this for some time now and after awhile the outdoors and gold fever takes its toll. You lose your desire and other things seem more important. It’s like when someone sobers up from a long stupor and now wants to experience other things in life that have been missed – but I was still upset. Why were we there if we weren’t ready to go in? Oh well, if it’s not one thing it’s another. Besides, I still think that the gold is cursed. How else does one explain what had been going on? Well, we didn’t get into the canyon and so I decided to call my ace in the hole. I had one partner left that I thought might be able to help me finish the search. I decided to let the other partners go home and let their gold fever cool down. I would bring in Gerry S (the Tenderfoot) from the east coast area to help me finish this project. I called Gerry and we set the date, mid-September, 2001. Gerry and I met and headed out to the search area. I updated him on the research and we then tried to get to the Adams via the main canyon. No soap though, the water was too high, just as it had been for the military. So, we tried to enter from the southern route and again no soap, we couldn’t get up the road that ran straight up the mountainside. Not many vehicles could make it and we had to turn around. Gerry is not experienced in the outdoors that much, so he thought he was going to die on the way back. He had driven the truck up on the side of the road and one wheel was up in the air. He thought that he and the truck were going over the edge, but he was really six feet from the edge of the road. Anyway, we got the truck back on the road, with all four wheels flat on the ground, and off we went. I was now very impressed with the way Gerry bounced back from his “near death” experience. He was ready for more and very excited. 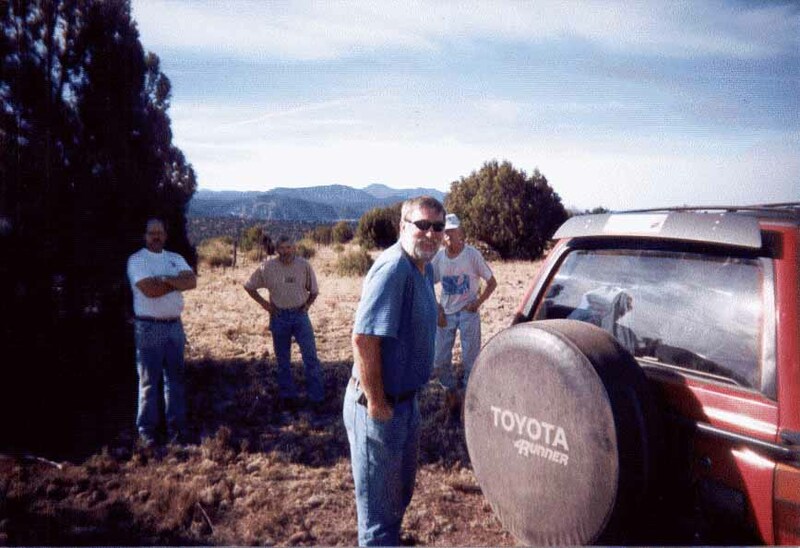 We then headed for the nearest town to get a motel room and to break out the topos. We needed to look at the maps and to decide on our next course of action. We got to the motel room and broke out the maps and popped open two cold ones. After studying the maps we decided to try to enter the gold canyon the way that Adams and Davidson had after burying the bodies of the ambushed re-supply party. From the east. The next day, off we went, heading for the east side of the canyon of gold and to set up our campsite. As we neared our campsite we could see the two peaks to the west and a cold chill ran up my spine. We were now only a night’s sleep from our goal and I knew that no one had been there since the military. It was still there, gold and all. We went to work setting up our camp. It was a long night for me as the research project had been so long and now for the first time in the history of the world the two of us would make our own history. Finally, dawn came. Gerry and I drove as close to the peaks as we could get the 4x4. We were about three canyons away from it though. The canyon of gold was landlocked and we would have to hoof it in. This meant we had to hike down one canyon side over about one thousand feet and then up the other and then down the next and up the other. It took us until afternoon to reach the east ridge above the canyon of gold. I started to look for all of Adams landmarks. There, to the northeast sat the long, low-slung mountain with the deep saddle in its middle. To the east, from where we had just come, was the fast expanse of open country that the re-supply had used to get supplies and to die in. To the southeast sat the three peaks on a plateau and to the south sat the large timber covered mountain. I then started with Gerry towards the top of the ridgeline. I was trying to see through the trees and to see if the two haystack peaks were really three. Finally I got into an opening and there they stood. Three large peaks. Adams was telling the truth and W.W. Williams had been with Adams in 1883. As Williams recounts Adams telling him that three peaks formed a triangle. That the two streams came together at the foot of the central peak and that the gold was on the right hand stream. There they sat, the three peaks and they really form a perfect triangle. Two streams did form the triangle and the gold was on the right hand stream. It ran down into the one acre flat with good grass and was what the military had found and recorded. The military had marked the downstream end of the canyon of gold and Adams had marked the top end with the two haystacks that really turn out to be three. We had done it. Not only had we found our canyon of gold, we had cleared Adams’ name. He had been telling the truth all along. I had gone from would-be author to “crazy” Ron Jensen, to the father of modern Forensic Archaeological Researcher. I had discovered, through a research project, the greatest treasure legend of them all and I had a six-mile long canyon of gold to prove it. Gerry laughed at me and said “you should see the look on your face.” He was laughing because the three peaks sat exactly where the research said that they would sit. I was really shocked. I knew that this new science was powerful and would unlock the door to any mystery, but to walk right into the middle of a legend and to stand where Adams stood and to see what he saw was really a mind blowing experience. Well, we decided to leave everything right where it was. It wouldn’t be too long and winter would be upon us and so we pulled the plug for this year. Good thing we did, as it rained heavily two days later and we would have been trapped in the canyon and I doubt if we could have hiked through that slick clay material that surrounded the canyon of gold. Gerry and I headed out and finally parted two days later. I changed Gerry’s handle from tenderfoot to “Dare Devil,” he just loves the excitement and danger. Next year, actually now, in the spring of 2002, we will return to the Lost Adams gold canyon and start to work it. Don’t forget to check into this web site for more information and photos following this upcoming expedition. I want to do a remake of the motion picture Mackenna’s Gold or to put this whole adventure on home video. After you see… you will still never believe it. I want to thank my other partners, past and present. I want to thank Gregory Peck for drawing me into a theatre all of those years ago. His performance gave me the idea for telling his story and then starting this great adventure. If not for him this web site would not exist, not the greatest adventure in the history of the world. Everyone used to call me “crazy” Ron Jensen and I loved it. Now they call me “Dr.” Ron Jensen, the world’s first doctor of Forensic Archaeological Research. To my credit I have one legend of treasure solved and found. One Anastazi fortification that was never recorded before. This find came from the military records and I have already contacted the University of Arizona. Mike Jacobs wants me to show his Archaeological department the Fortification and do a paper and study of it. I have most of the missing 17 years of Apache history. Due to the Apache Wars and being moved to Fort Sill, OK, the Apache people lost these 17 years of their history. 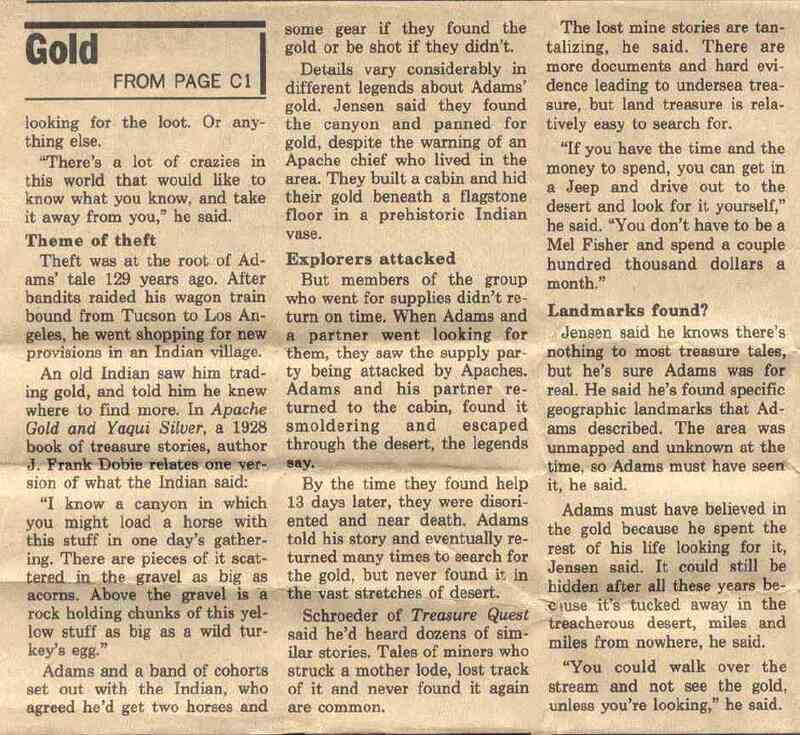 The Adams research helped me to recover most of what was lost to the Apaches. I will prepare a research paper and forward it to the Mesacalre Apache reservation so that the Apache people can reclaim what was lost to them. To add insult to injustice, I just found out that the National Register has decided to place me into their register known worldwide as the “Who’s Who” of professionals. This book is also listed with the Library of Congress. Not bad for a guy who only wanted to write books debunking treasure legends. Isn’t fate something. It leads one on paths one would never otherwise have dreamed of. Gerry and I are discussing just what adventures that we want to tackle next. This new science sure simplifies it down and makes it possible to go on one adventure after another. Hopefully my other partners fever has cooled down and they are ready to work the Lost Adams and head out on all of those mysteries that others have failed to solve. Stay tuned, this was just the first of many of the greatest adventures in the history of the world.